Mauris nec mi ligula, ac eleifend ligula. Donec euismod ante eu lorem venenatis placerat vulputate sapien pellentesque. Etiam viverra volutpat sem laoreet fringilla. We strive to be able to help return the best compensation settlements and awards in favor of our clients. Don't let insurance companies take advantage of you! Attorney Dennis R. Toney, Jr., will go to bat for you to protect all your rights under the South Carolina Workers' Compensation Act and get you the medical care and treatment to which you are entitled and every dollar you deserve. At the Toney Law Firm, we are experienced in South Carolina Workers Compensation Law and can represent you in your Compensation hearing and get you the money you deserve without fear of retribution from your employer. Injuries on the job not only affect you, they affect your family. Contact Dennis Toney, the job injury lawyer that can get you a fair settlement. The Toney Law Firm P.C., Attorney Dennis R. Toney, Jr., and his attorneys have been practicing law since 1998. Attorney Dennis R. Toney, Jr., is admitted to practice before the South Carolina Bar, the United States District Court for the District of South Carolina and the United States Bankruptcy Court for the District of South Carolina. Attorney Toney is a member of the South Carolina Bankruptcy Law Association, National Association of Consumer Bankruptcy Attorneys, South Carolina Workers' Compensation Claimant's Association, American Association for Justice, and Charleston Bar Association. The Toney Law Firm, P.C., and Attorney Dennis R. Toney, Jr., practices in the area of Debtor Bankruptcy, Workers Compensation and Personal Injury. We have free consultations and affordable fees. Let The Toney Law Firm, P.C., and Attorney Dennis R. Toney, Jr., help you protect your assets and get you the compensation you deserve. Workers injured on the job are generally limited to recovering for their injuries through the workers’ compensation system. Commonly, however, a worker’s injuries are caused by a non-employer third party. In such cases, injured employees and workers can bring a civil lawsuit to recover injuries, often resulting in a greater recovery. For example, employees are often injured when their work equipment malfunctions or fails to work due to a design or manufacturing defect. In these instances, injured employees may bring a products liability claim against the manufacturer. 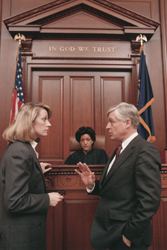 At The Toney Law Firm PC, Attorney Dennis R. Toney Jr., handles a variety of different cases. We can help you get the money you deserve for your pain and suffering, medical expenses and lost wages as the result of injuries you sustain in Auto Accidents, Motorcycle Accidents, Tractor Trailer Accidents, Wrongful Death, Slip and Fall, Dog Bite, brain injury and Medical Malpractice. Don't guess about your rights or let the insurance company pay you less than you deserve. Contact serious personal injury lawyer Dennis R. Toney, Jr., at The Toney Law Firm, P.C., today! The consultation is FREE and there is no fee unless we collect for you. Mr. Toney is also a skilled workers comp trauma attorney. If you are injured on the Job or if your job duties have even caused an aggravation or re-injury of a previously existing condition, The Toney Law Firm, P.C., and Attorney Toney can help you get the benefits that you deserve and are legally entitled to under the laws of South Carolina's Worker's Compensation Act. Those benefits include weekly compensation while you have been placed out of work by the Doctor, weekly compensation if you are not able to work and make as much money as you did prior to the accident while the doctor has your work restricted to light duty, medical care and treatment for your injuries and compensation for the injuries you sustained in the work related accident. The Toney Law Firm represents injured workers for all work related injuries including but not limited to Neck & Back Injuries, Death Claims, Carpal Tunnel Syndrome, Arm Injuries, Hand Injuries, Finger Injuries, Leg Injuries, Foot Injuries, Eye Injuries, Loss of Hearing Claims, Job Related Auto Accidents, Hand & Wrist Injuries, Brain Injuries, Chemical Exposure, Industrial/Manufacturing Injuries, Repetitive Trauma Injuries and Longshore and Harbor claims. Do not let your employer or their insurance carrier tell that you don't have a valid claim. Don't let your right to bring a claim slip away! Make sure that you notify your employer of your injury immediately and contact Attorney Dennis R. Toney, Jr., of The Toney Law Firm, P.C., today! The consultation is FREE and there is no fee if we are not able to secure compensation for you. If you are behind on your payments, Attorney Dennis R. Toney Jr., can help. He has helped many individuals stop foreclosure on their homes, stop repossession of their vehicles and recovered vehicles that have been repossessed. In addition, the Firm can help put a stop to harassing calls from creditors and rude collection companies. Through Bankruptcy Attorney Toney can help resolve judgments, stop lawsuits, eliminate unsecured debt and can help you repay creditors what you can afford. Don't guess about your rights or let creditors harass you. Contact Attorney Dennis R. Toney, Jr., at The Toney Law Firm, P.C., for a FREE consultation.